I’ve been drawing a lot of outfit inspiration from the late 80’s/early 90’s here lately. 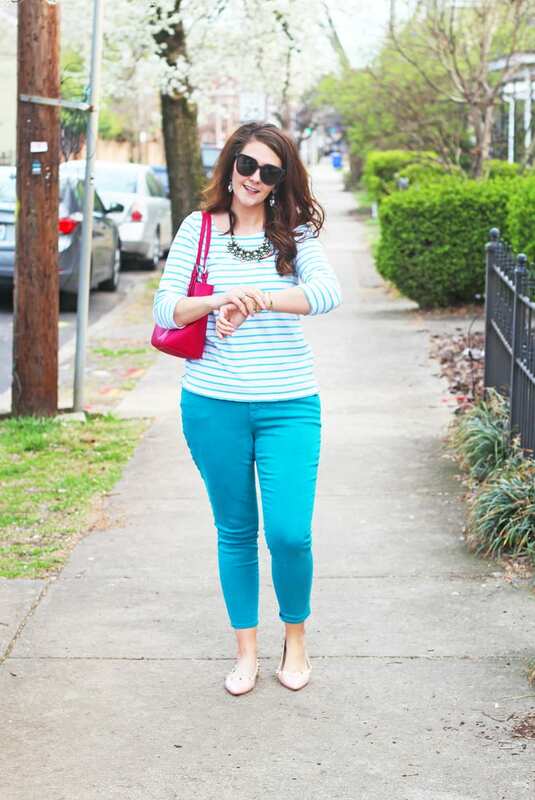 The teal and peach colors of this outfit totally remind me of a 90’s bridesmaid palette–in fact, I was a flower girl in a wedding with these colors! It was hilarious, because at the end of the wedding, the ringbearer ran down the aisle (he was supposed to wait one me) and I chased him! How dare he leave me behind;)haha I think I was probably around four years old at the time. Top: J. 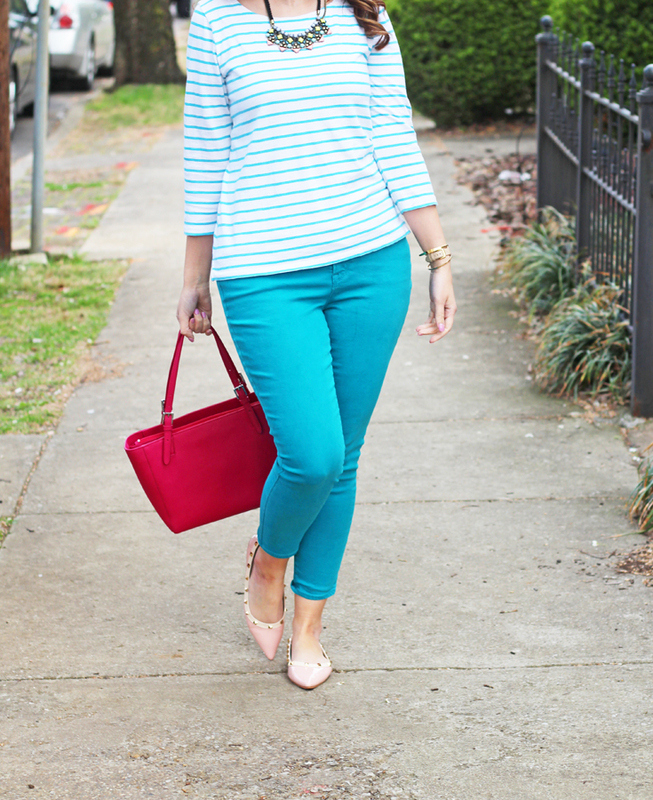 Crew Factory (similar, similar, with ruffled sleeves) // Pants: Old Navy (under $25!) 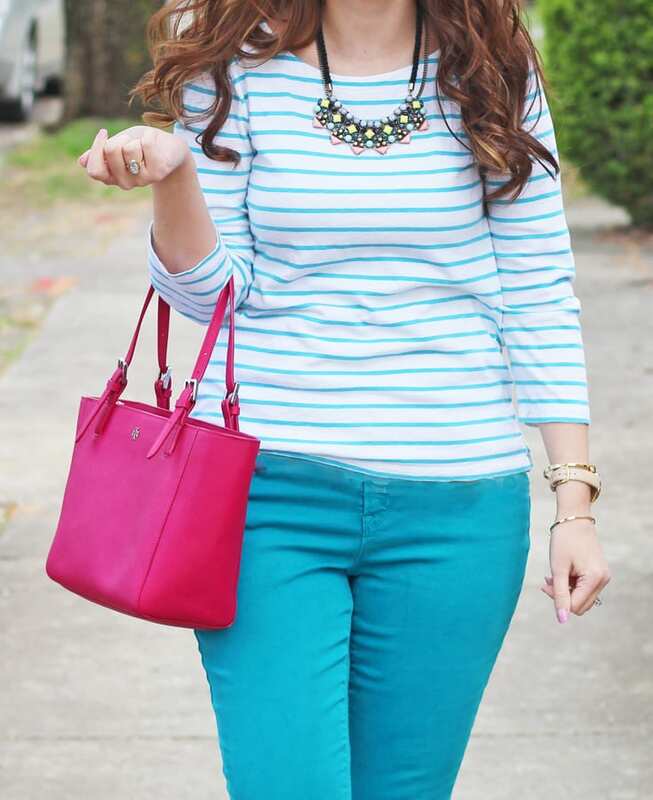 Flats: c/o Shein // Necklace: Sugarfix via Target // Earrings: Sugarfix via Target // Tote: Tory Burch (also here) // Cuffs: J. 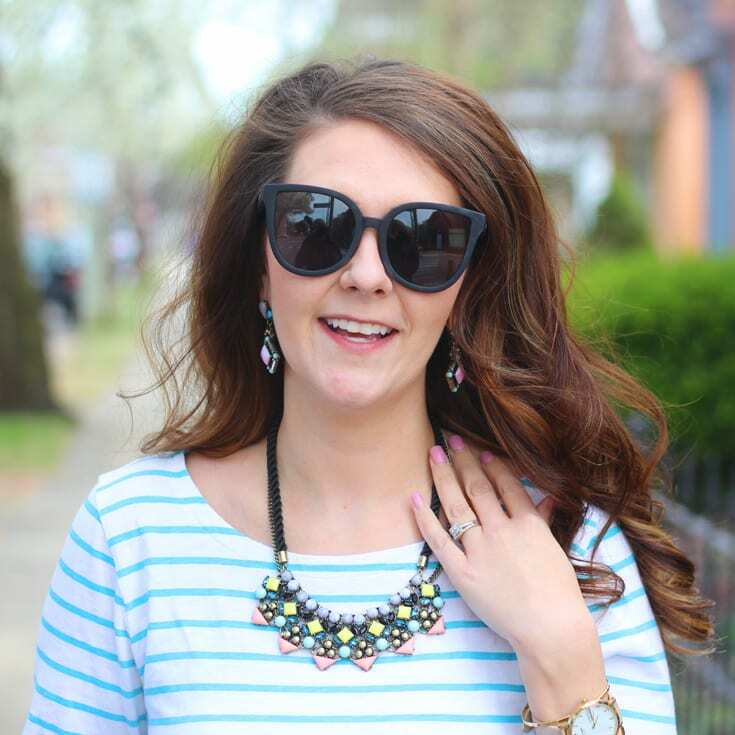 Crew Factory and c/o Southern Belle Glitz // Sunnies: Quay–only $50! 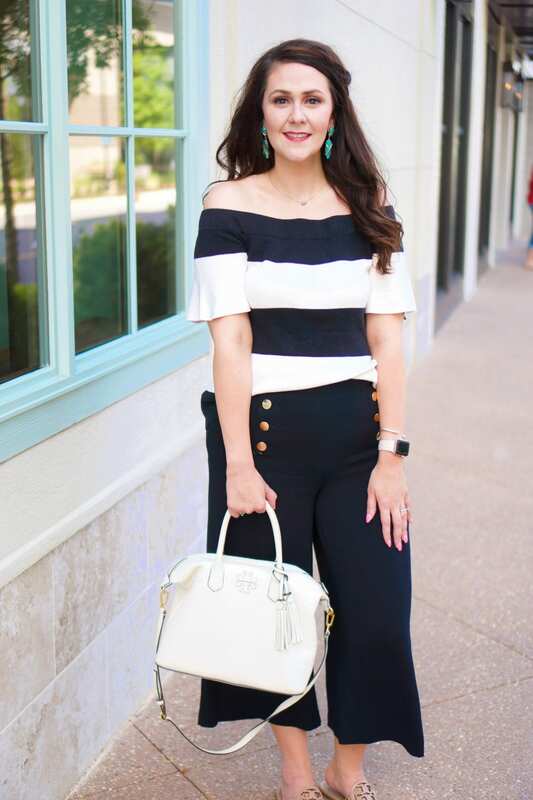 Many times, I base an outfit around one piece of clothing or jewelry. Here, I built everything around this Sugarfix necklace (my necklace + earrings are currently 20% off!). It has such a great color mix. 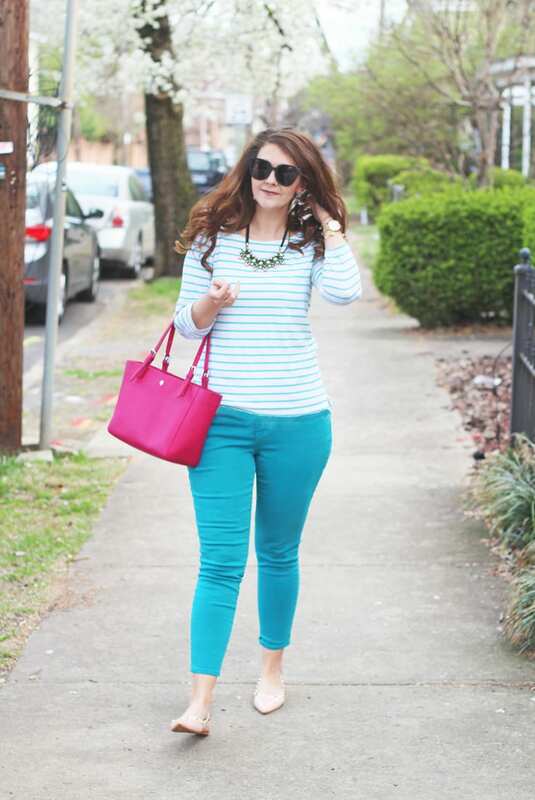 I matched these flats to the necklace. Then I put together the actual clothes. 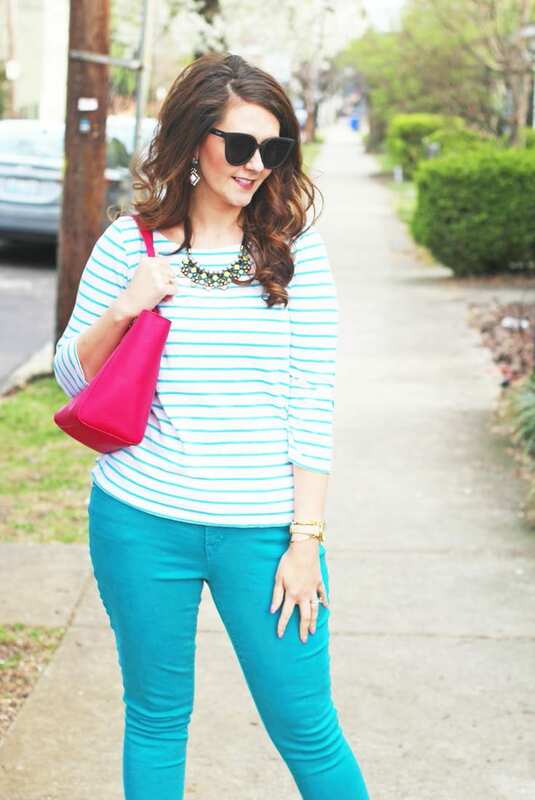 This striped top and colored Rockstar jeans from Old Navy go perfectly together! 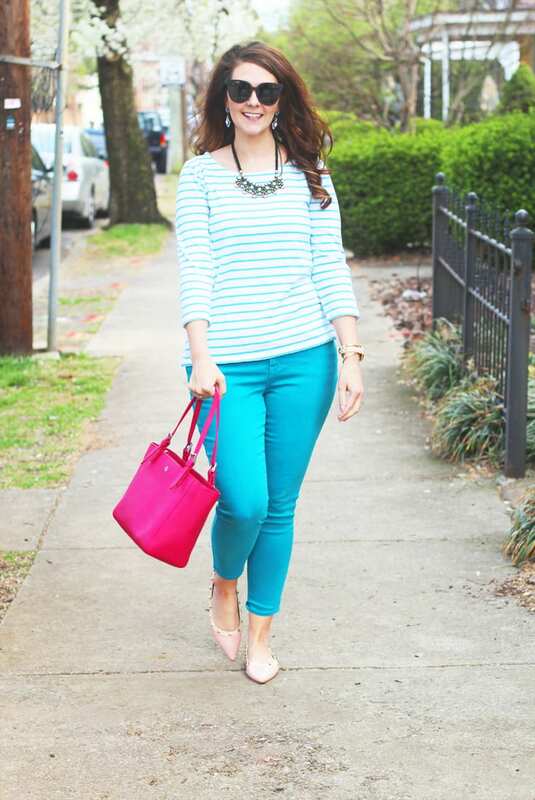 Colored jeans are so cute for spring! 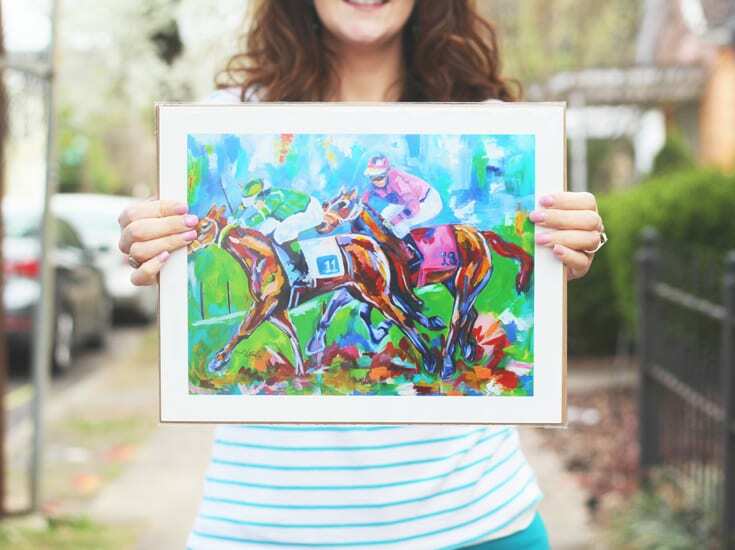 And can we please talk about this gorgeous Kentucky Races print from local Lexington, Kentucky artist Kayla Weber?! I’m dying over it! Kayla caught my attention on Instagram several months ago. 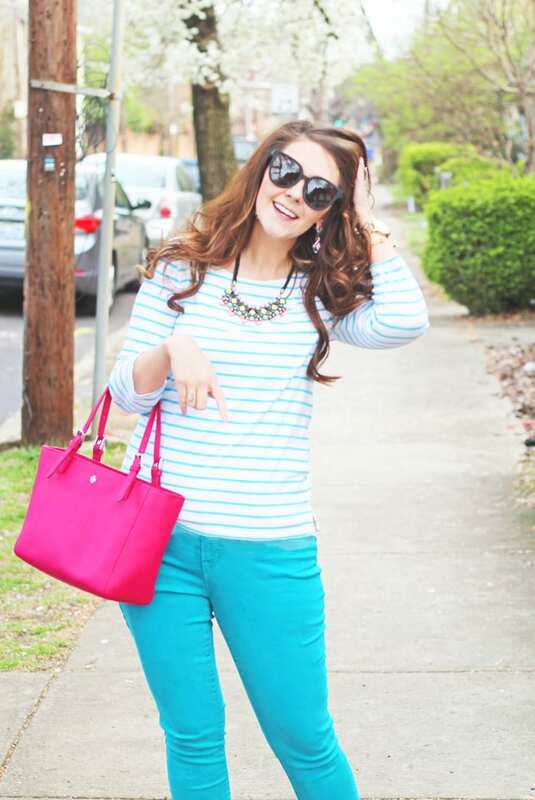 Her style is so beautiful, and I love her use of colors! 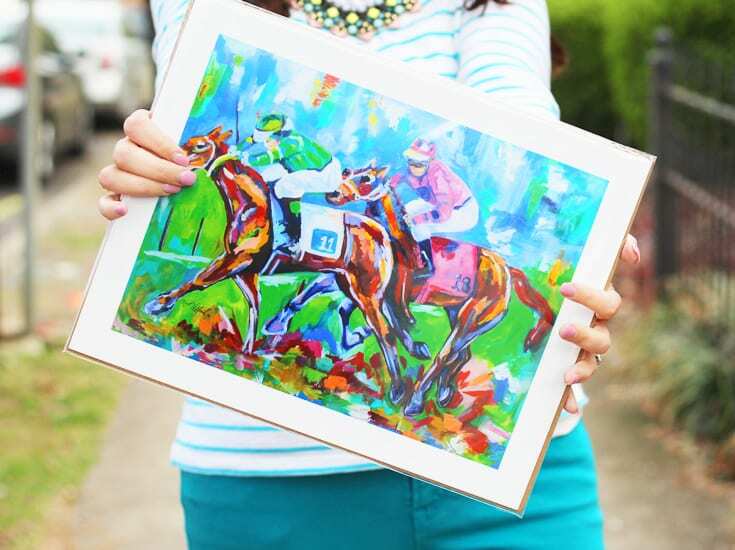 You can find whimsical Kentucky landscapes and animals, and even an electric Pink Pineapple print. 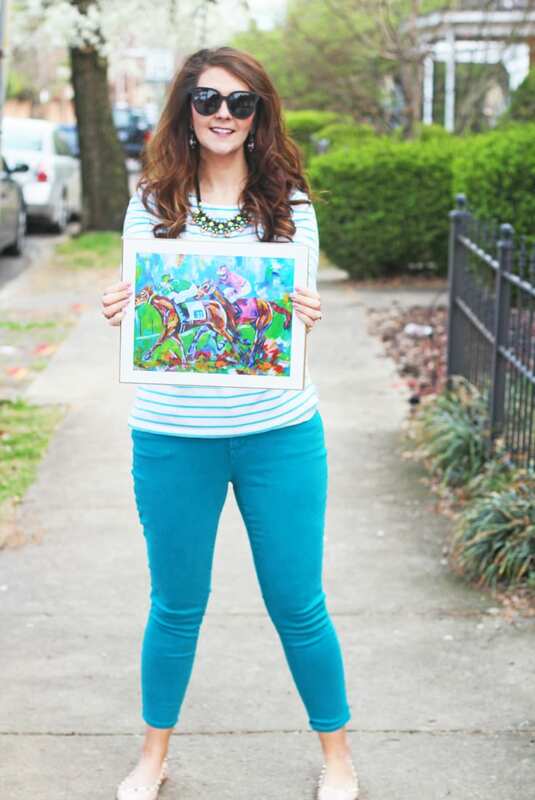 If you’re looking for something more muted in color, be sure to checkout her eye-catching abstract pieces! You can see all Kayla Weber Art pieces here, and follow along on her Instagram here.